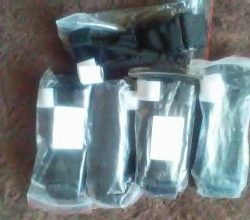 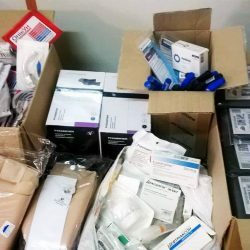 Volunteer medical unit ASAP received four medical backpacks and medical suture material, patches, medical scissors, manipulation kits, and cast plasters. 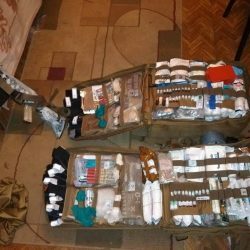 Five medical backpacks with halo chest seals, Israeli bandages, QuikClots from United Help Ukraine have been delivered to the front lines. 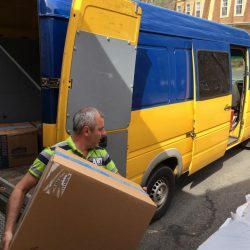 Thank you Roman Dzivinsky​ for the delivery and report. 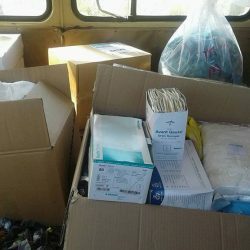 Surgical instruments and specialized first-aid supplies for medical personnel have been delivered to the front lines. 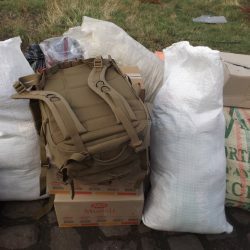 Another parcel from United Help Ukraine has been delivered to “ASAP RESCUE”. 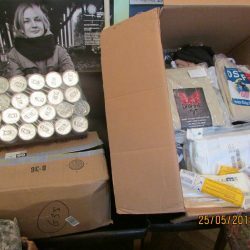 It includes 30 CATs, 20 camouflage long-sleeved t-shirts, 50 pairs of warm long socks, underwear, and 15 packages of vitamins and medicines. 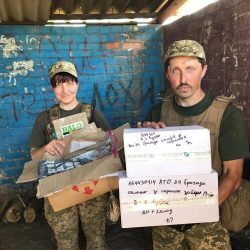 Special thanks to Yuliya Murashko, Tamara Rudolph, Gennady Murashko, Yuri Yankovski! 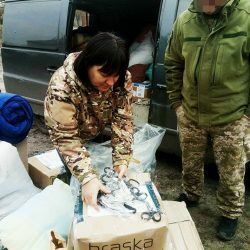 United Help Ukraine purchased and delivered 20 CATs (total cost $110) to volunteer-medics from ASAP rescue group. 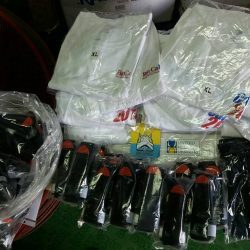 Thank you Tamara Rudolph​ for coordination! 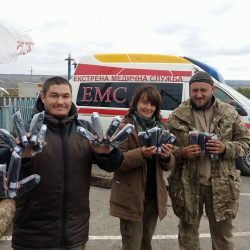 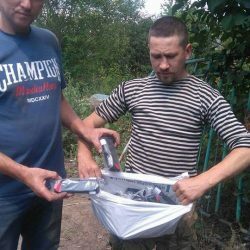 Combat application tourniquets (CAT) have been delivered to the front lines and distributed to the soldiers who had not have individual first aid kits and who urgently needed them at the time of the intensified shelling. 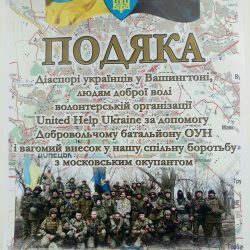 United Help Ukraine received a note from Ukrainian volunteer Borys Penchuk: 40 Combat Application Tourniquets (CAT) and t-shirts have arrived in Kyiv and will soon be delivered by Borys to soldiers and medical personnel in Mariupol. 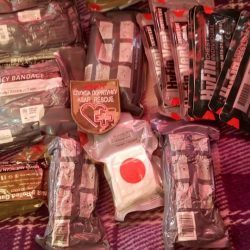 CATs are essential components of soldiers’ first aid kits. 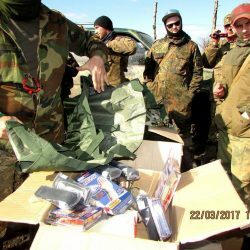 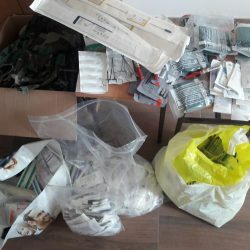 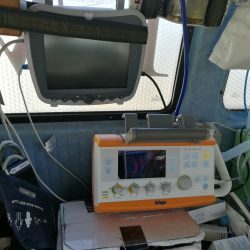 “When you hear the phrase ‘Let it never be used’, you know you are getting medical supplies!” The Ukrainian Volunteer Army Pravyj Sector Battalion says thank you to United Help Ukraine and Bohdan Druzhkin. 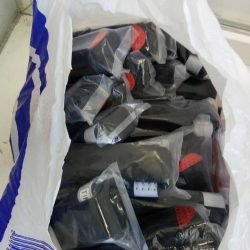 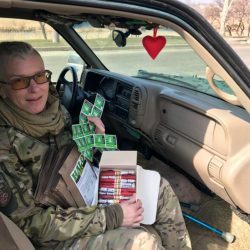 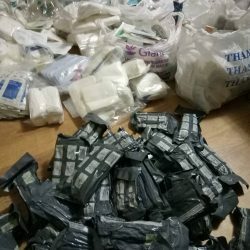 34 QuikClots (total value of $540) that are vital components of soldiers’ individual first aid kits have been delivered to the city of Kharkiv, and will be distributed to soldiers from the Ukrainian Volunteer Corps Pravyj Sector (DUK PS). 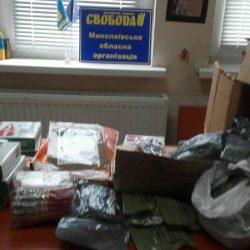 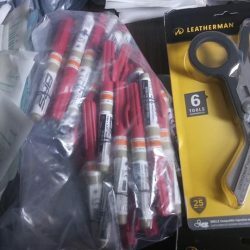 Thank you Vladyslav Ovcharenko for the delivery! 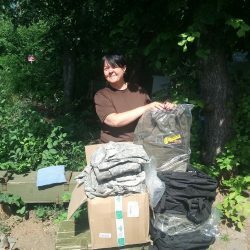 Soldiers of Volunteer Battalions OUN and Arrata have received 20 QuikClots and 20 CATs (Combat Application Tourniquets) from United Help Ukraine. 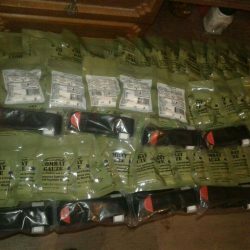 Thank you to donors and volunteers who helped to purchase and deliver these important components of soldiers’ first aid kits.